Francis Biddle (far right) with other judges at the Nuremberg trials (from left) Iona Nikitchenko (Soviet Union), Norman Birkett and Geoffrey Lawrence (United Kingdom). Wikimedia Commons has media related to Francis Biddle to All U.S. Attorneys: Circular No. 3591 Re: Involuntary Servitude, Slavery, and Peonage. Francis Beverley Biddle (May 19, 1886 – October 4, 1968) was an American lawyer and judge who was Attorney General of the United States during World War II and who served as the primary American judge during the postwar Nuremberg trials. He also served as a United States Circuit Judge of the United States Court of Appeals for the Third Circuit. Biddle was born in Paris, France, while his family was living abroad. He was one of four sons of Frances Brown (née Robinson) and Algernon Sydney Biddle, a law professor at the University of Pennsylvania of the Biddle family. He was also a great-great-grandson of Edmund Randolph (1753–1813) the seventh Governor of Virginia, the second United States Secretary of State, and the first United States Attorney General, and a half second cousin four times removed of the 4th President of the United States James Madison. He graduated from Groton School, where he participated in boxing. He earned a Bachelor of Arts degree in 1909 from Harvard University and a Bachelor of Laws in 1911 from Harvard Law School. Biddle first worked as a private secretary to Supreme Court Justice Oliver Wendell Holmes Jr. from 1911 to 1912. He spent the next 27 years practicing law in Philadelphia, Pennsylvania. In 1912, he supported the presidential candidacy of former President Theodore Roosevelt's renegade Bull Moose Party. He was also served briefly during World War I era as a private the United States Army from October 23 to November 30, 1918. He served as special assistant to the United States Attorney for the Eastern District of Pennsylvania from 1922 to 1926. Beginning in the 1930s, Biddle was appointed to a number of important governmental roles. In 1934 President Franklin D. Roosevelt nominated him to become Chairman of the National Labor Relations Board. On February 9, 1939 Roosevelt nominated Biddle to the United States Court of Appeals for the Third Circuit, to a seat vacated by Joseph Buffington. The United States Senate confirmed Biddle on February 28, 1939, and he received his commission on March 4, 1939. He served only one yearin the role before resigning on January 22, 1940, to become the United States Solicitor General. This also turned out to be a short-lived position when Roosevelt nominated him to the position of Attorney General of the United States in 1941. 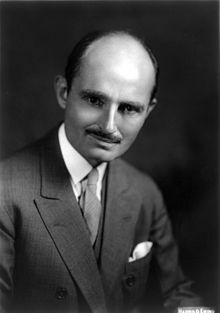 During this time he also served as chief counsel to the Special Congressional Committee to Investigate the Tennessee Valley Authority, from 1938 to 1939, and as director of Immigration and Naturalization Service at the United States Department of Justice in 1940. During World War II, Biddle used the Espionage Act of 1917 to attempt to shut down "vermin publications". This included Father Coughlin's publication entitled Social Justice. In 1942 Biddle became involved in a case where a military tribunal appointed by President Roosevelt tried eight captured Nazi agents for espionage and for planning sabotage in the United States as part of the German Operation Pastorius. Lieutenant Colonel Kenneth Royall challenged Roosevelt's decision to prosecute the Germans in military tribunals, citing Ex parte Milligan (1866), a case in which the U.S. Supreme Court ruled that the federal government could not establish military tribunals to try civilians in areas where civilian courts were functioning, even during wartime. Biddle responded that the Germans were not entitled to have access to civilian courts due to their status as unlawful combatants. The U.S. Supreme Court upheld this decision in Ex parte Quirin (1942), ruling that the military commission set up to try the Germans was lawful. On August 3, 1942 all eight were found guilty and sentenced to death. Five days later, six of the eight were executed in the electric chair on the third floor of the District of Columbia jail. The other two were given prison terms as they willingly turned their comrades over to the FBI. In 1948 both these men were released from prison and returned to Germany. Biddle strengthened his department's efforts on behalf of African-American civil rights by instructing United States attorneys to direct their prosecutions against forced labor in the South away from the usual practice of charging "peonage", which required them to find an element of debt, and toward bringing charges of "slavery" and "involuntary servitude" against employers and local officials. At President Harry S. Truman's request, he resigned after Roosevelt's death. Shortly after, Truman appointed Biddle as a judge at the International Military Tribunal at Nuremberg. Tom C. Clark, Biddle's successor, told the story that Biddle, who was the first government official whose resignation Truman sought, and that it was quite a difficult task. Biddle was amused by Truman's stammering, but after it was over, he threw his arm around the President and said, "See, Harry, now that wasn't so hard." In 1947, he was nominated by Truman as the American representative on the United Nations Economic and Social Council. However, after the Republican Party refused to act on the nomination, Biddle asked Truman to withdraw his name. In 1950, he was named as chairman of the Americans for Democratic Action, a position he held for three years; then one decade later, wrote two volumes of memoirs: A Casual Past in 1961 and In Brief Authority the following year. His final position came as chairman of the Franklin D. Roosevelt Memorial Commission, which he resigned in 1965. Biddle died on October 4, 1968, of a heart attack at his summer home in Wellfleet, Massachusetts, on Cape Cod, at the age of 82. Biddle was interred at the St. Thomas' Church Cemetery in Whitemarsh, Pennsylvania. Biddle's writing skills had long been in evidence prior to the release of his memoirs. In 1927, he wrote a novel about Philadelphia society, The Llanfear Pattern. In 1942, he wrote of his close association with Oliver Wendell Holmes 30 years earlier with a biography of the jurist, Mr. Justice Holmes, which was adapted into a Broadway play and a motion picture entitled The Magnificent Yankee. Democratic Thinking and the War, was published in 1944. His 1949 book, The World's Best Hope, looked at the role of the United States in the post-war era. He was elected a Fellow of the American Academy of Arts and Sciences in 1963. Biddle was the subject of the 2004 play Trying by Joanna McClelland Glass, who had served as Biddle's personal secretary from 1967 to 1968. ^ a b c d e f g Francis Biddle at the Biographical Directory of Federal Judges, a public domain publication of the Federal Judicial Center. ^ a b Whitman, Alden (October 5, 1968). "Francis Biddle Is Dead at 82; Roosevelt's Attorney General; First Chairman of N.L.R.B. Was Nuremberg Judge -Backed Liberal Causes". The New York Times. Retrieved 11 April 2016. ^ Blackmon, Doublas A. (2008). Slavery by Another Name: The Re-Enslavement of Black Americans from the Civil War to World War II. New York: Anchor Books. pp. 377–379. ISBN 9780385722704. ^ O'Neill, James (January 2, 2001). "Edmund R. Biddle, 79, Professor, Poet". Philly.com. Retrieved 11 April 2016. ^ "MISS DISNER FIANCEE OF EDMUND R. BIDDLE". The New York Times. January 26, 1951. Retrieved 11 April 2016. ^ "Mrs. Edmund Biddle Has Son". The New York Times. July 10, 1952. Retrieved 11 April 2016. ^ "Francis Beverly Biddle". www.findagrave.com. Retrieved 21 April 2019. ^ "Book of Members, 1780–2010: Chapter B" (PDF). American Academy of Arts and Sciences. Retrieved June 25, 2011. ^ "Trying times at Rosebud Theatre". The Strathmore Times. Retrieved 17 August 2012. ^ Jones, Kenneth (19 April 2004). "Victory Gardens Keeps Trying: Joanna Glass With Fritz Weaver Extends Two Weeks". Playbill. Archived from the original on 31 January 2013. Retrieved 17 August 2012. Wikimedia Commons has media related to Francis Biddle.